President of the Nigeria Football Federation, Amaju Pinnick insists the Super Eagles lost to France in Brazil because of money. While charging the Eagles to go for total victory against Argentina, Croatia and Iceland at the 2018 World Cup in Russia, Pinnick went back, down memory lane, to the last World Cup in Brazil when money problems allegedly led to the ouster of the team. Pinnick is however, optimistic that the Eagles will do well in Russia as he explains that the Nigeria Football Federation have put everything in place to avoid a recurrence of what happened in Brazil where the team lost embarrassingly to France at the Round of 16 due to distraction. “I recall in Brazil and I'm sure the players would have won that match against France but they were busy sharing money from night till morning and when it was time to play, of course the rest is history,” Pinnick said. “Our strategic committee came out with a comprehensive analysis of what we needed to do and the first thing was to sit with the team and find out what the problem was. 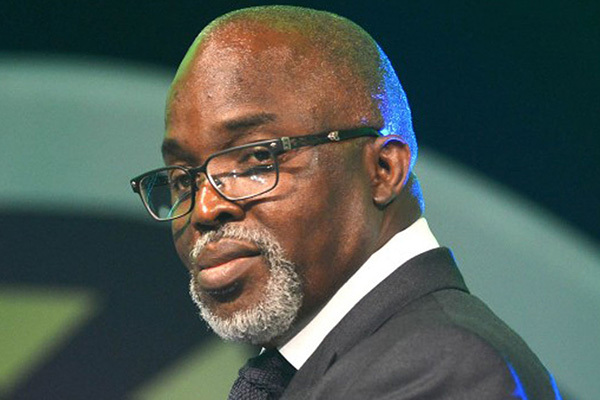 “They told us that NFF have done well but we need to be motivated,” Pinnick said. He also pleaded that as much as the Eagles must put up a positive mindset while facing their opponents, Nigerians should support the team 100 percent in order to boost their morale in and out of the playing pitch. The president reiterated that the Super Eagles can win the World Cup. “When the team went to Atlanta in 1996, they went there with the sole aim of making Nigeria very proud. “When Chioma Ajunwa went to the tracks and said look I can leap XYZ, she did it and she won gold, so we must always put up an optimistic mindset. Nigeria play their first match against Croatia on June 16, Iceland on June 22 and last group game on June 26 against South Ameriacans, Argentina. Nigeria’s best ever outing at the World Cup is a second round placing achieved in USA in 1994, France in 1998 and Brazil in 2014.